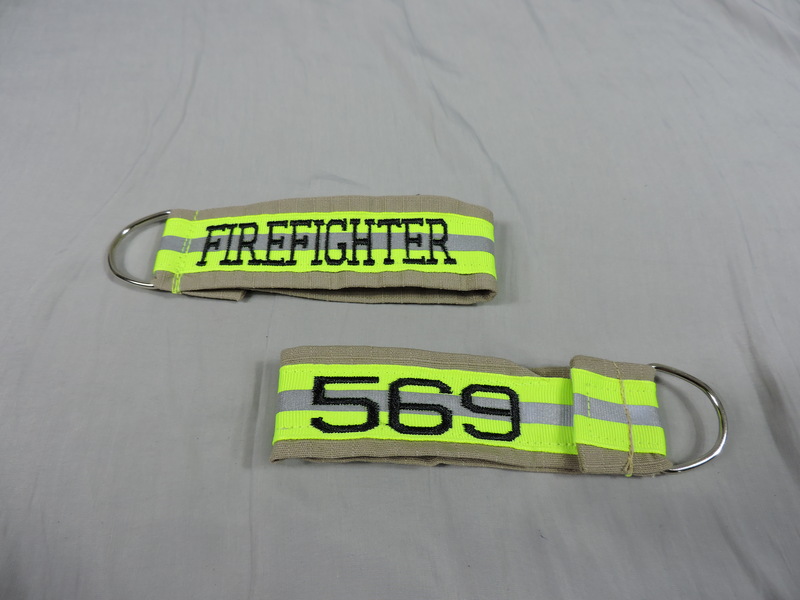 What a wonderful way to show the world that you are a part of the firefighter community, or this would make a perfect gift for a firefighter member of your family! 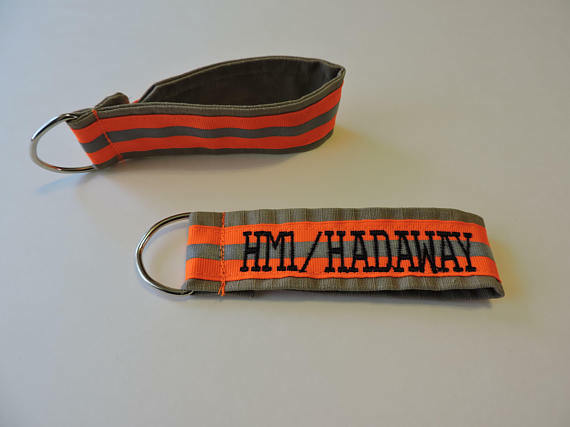 You choose what you would like to be personalized on front and back of this key chain. 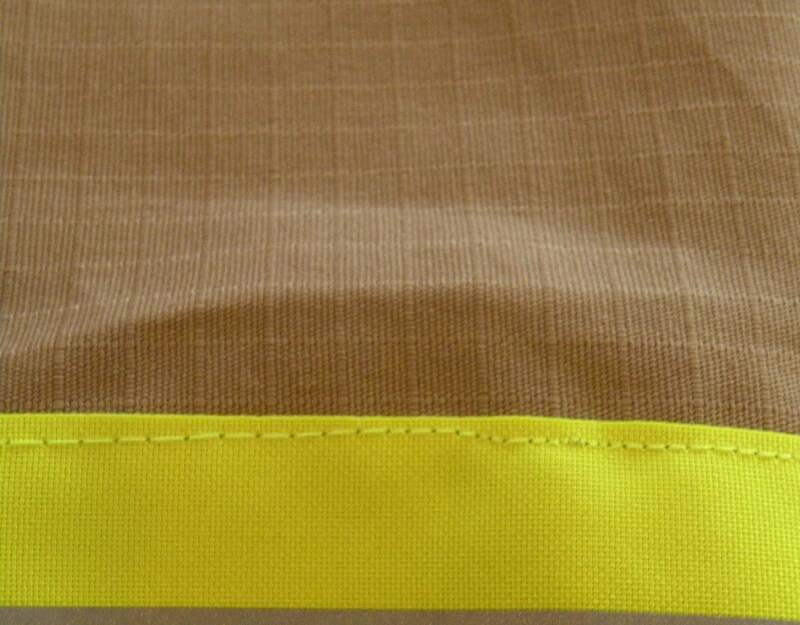 The name will be embroidered into the fabric. This key chain is made from new cotton ripstop material. This material looks just like the firefighter turnout material. I choose to use new material on all my items as I don't know what toxins can still be left on the material even after washing it. 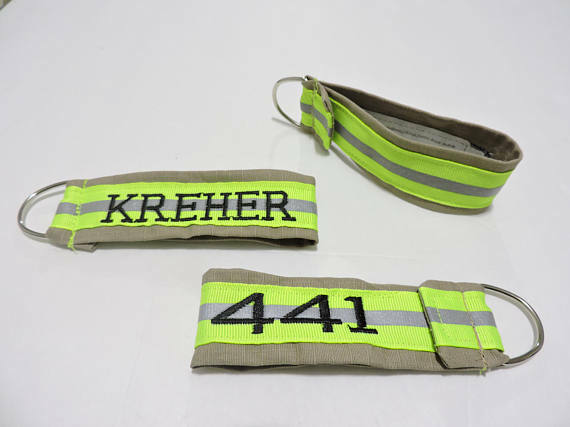 Use the drop down selections above to choose what reflective tape color you prefer. Next select what you would like to appear on the key chain. You can choose one of the preselected titles or you can choose custom. If you choose custom name, in the notes to seller section at checkout state the name you would like. Please use capital letters as this will insure correct spelling and show you how your item will look once completed.